In this article, you will learn how simple is to create a cloud instance using GloboTech’s Cloud Servers. First login to GloboTech’s Customer Portal. 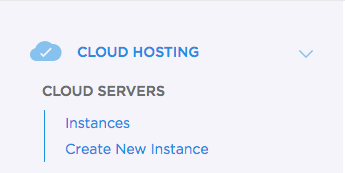 Once logged in, navigate to the “Cloud Hosting” section on the side menu and click on “Create New Instance”. Simply complete the following 5 steps to launch your first Cloud Instance. Enter the name that represent most the use of your Cloud Server. 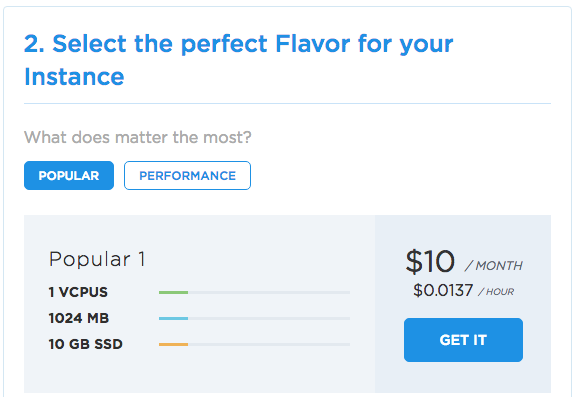 Pick a Cloud Flavor that would match the most your usage. Keep in mind that you can always scale your instance in the future if your project needs it. Select your favorite Operating System (OS) or use a snapshot from a previous or current Cloud Server. 1. In this section, you will be provided with the root (Linux) or administrator (Windows) password that you can use once your Cloud Server is booted. Please make sure you write down this password since it wont be provided again. 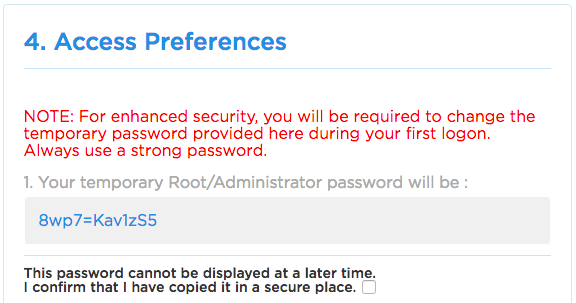 Once you have wrote down the password, check the box to confirm it. 2. If you want to use a SSH Key (Only available on Linux Cloud Servers), please select a SSH Key previously created using our Customer Portal. In the Networking section, you will be able to active or deactivate the use of Security Groups. 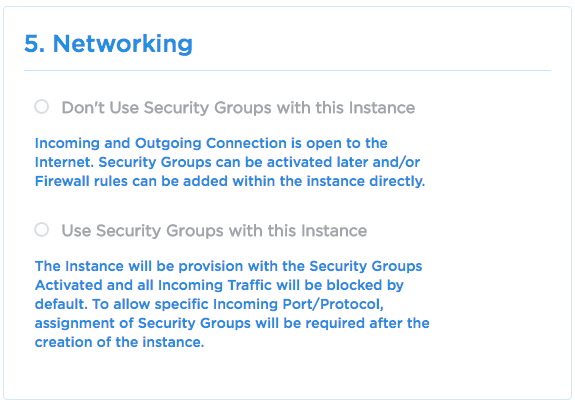 Security Groups allow you to set custom firewall rules in front of your Cloud Instances. Security Groups can be activated and deactivated at any time. 1. Don’t Use Security Groups with this Instance – Select this option to have your Cloud Server without any firewall or restriction setup.